As Ramiro Zavala’s flight made its descent toward Reagan International Airport, he looked out his window at the million-dollar view of the monuments that grace Washington, D.C.
At that moment, the Stan State senior realized he wasn’t in Turlock anymore. It was the first time Zavala’s eyes were opened during his five-day trip to Washington as part of the USDA’s Agriculture Outlook Forum, which annually selects 30 students from across the country for the all-expenses-paid experience. 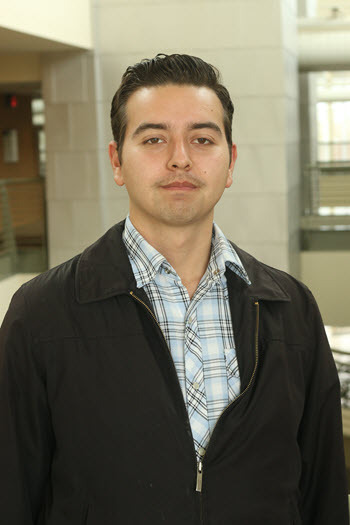 The USDA selects the students via an essay contest, and Zavala was one of two students selected by Stan State professors to have their essays submitted to the USDA. The rules called for a personal essay on agriculture, including experiences in the field and how the writer sees his or her role in agriculture in the future. Zavala chose to write about his family in southern Mexico. During his D.C. visit, in addition to visiting the monuments he’d seen from the air, Zavala also met with USDA policy-makers and other officials.